was: $305.00 now: $244.00 save 20% Please note that sale items may only be returned within 14 days of receipt. Please check carefully to ensure that your sale item is suitable. 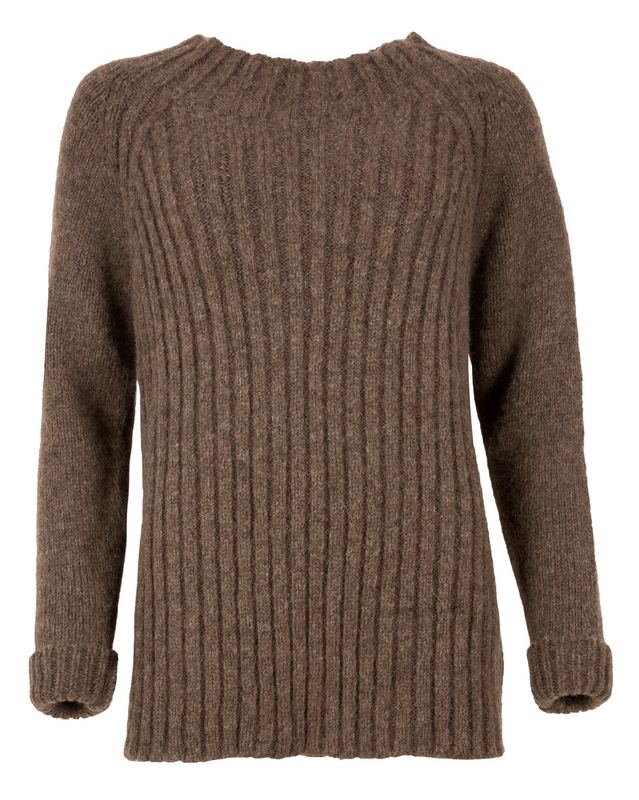 Treat yourself and get seriously cosy in our new Snuggle Sweater, you need to feel this yarn to believe it. In a yarn crafted from the most luxurious natural fibres, baby alpaca, fine merino and cotton, this jumper is the ultimate companion for your snuggly nights in. 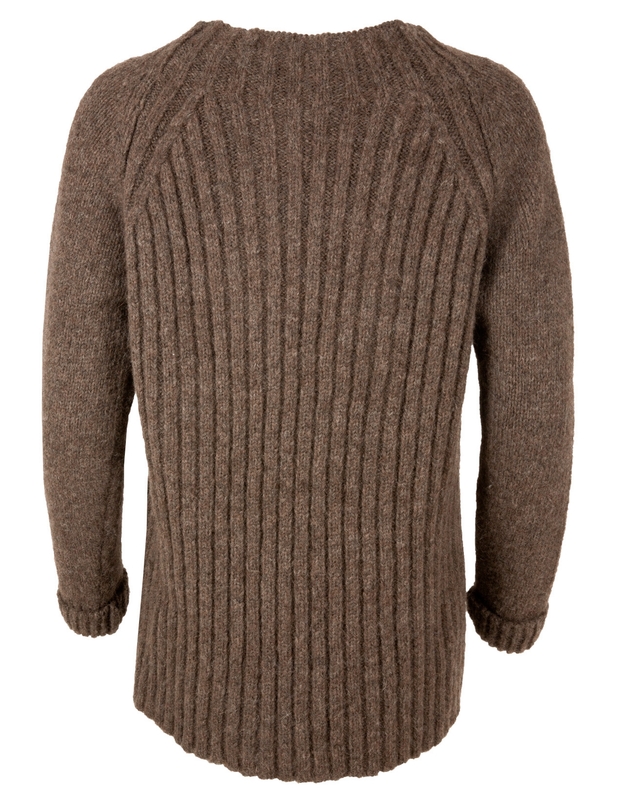 Its wide neckline is complimented by the ribbing down the body. Casual fit, the perfect throw on. Great for softness and warmth, I also like the colour, suits me, but would like to see other colours in the future. Only one niggle, mine malts, my sleeves rub against my body and lumps of woolen fluff fall, I thought my cat had something wrong with his fur, no, just my jumper. I adore this sweater, as does my husband. It is so incredibly soft and warm I hate to take it off. Sizing and boxy style suit me fine and look terrific on. I'm 5'4" tall, 105 lbs, and I bought a size S. The only complaint I have is that it only comes in one color. Hope we'll see others in the future. Also hope that complaints about packaging will not force the early retirement of a superb garment. Mine made it all the way to the US without any problems. Ditto for all the many other lovely jumpers, dresses, and coats I've purchased from C&C. Gorgeously and luxuriously soft! That will be the alpaca wool. A little 'fluffy', it does shed a bit and would definitely need to be very carefully hand washed and dried flat to keep its shape as it is quite stretchy. Unfortunately the shape is very big and square / 'boxy' which does not suit my body shape. I would prefer it to be more fitted. Length is good - not too short for a tall person like me. I'm not sure why Celtic think they can get away with sending an expensive jumper like this wrapped up in a polythene bag with a white sticker bar code attached. My husband was not pleased as he bought this for me and it was a present. We buy from Toast, Brora and Pure and I think Celtic need to cotton on to the fact that they should be wrapping their jumpers in breathable tissue paper and saving the planet. The jumper itself feels lovely but it could have had more varied details and I am concerned how it will wash.
Hi Vicky, thank you for you for your feedback. We have passed onto our product team as well as the owners of the company and they have confirmed that the packaging we use for our knitwear is being looked into. We do already send our boots and slippers in plastic free packaging and endeavour to improve our packaging solutions across the board. Along with this, we also have in place a company wide project to be as sustainable as possible with recycling points in every department- including compost recycling in our kitchens! I’d like to take this opportunity to apologise for the disappointment caused and we do hope we are able to restore your faith in our products and services going forward. If there is ever anything else we can assist with then please do not hesitate to contact us by email or by phone on 0333 400 0044 as we are very happy to help.